Thinking of volunteering to help build Habitat Homes? This free clinic is for you. Open to all 18 and older. Young Adults 18-24 are encouraged to attend. Walk-ins will be accommodated. 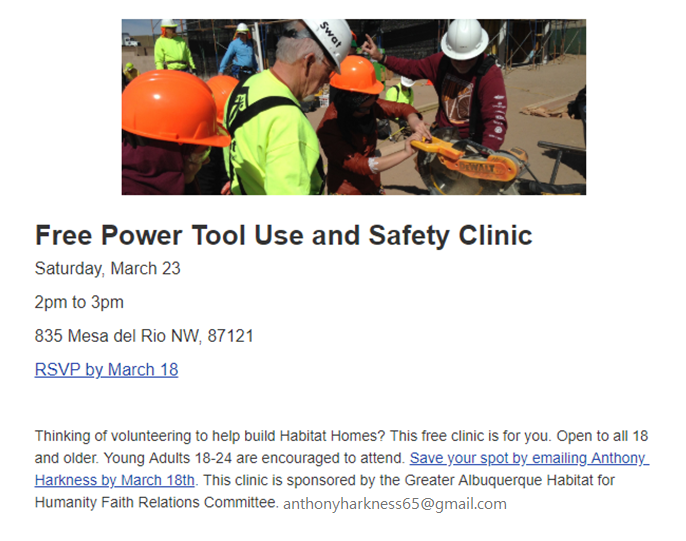 Save your spot by emailing beth@habitatabq.org by March 18th!